Amelia Warner attended the 2017 Oscars on Sunday (February 26) in Hollywood, California. 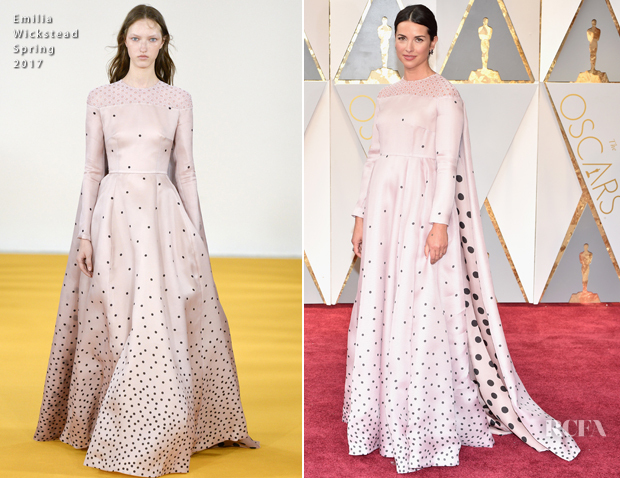 The British star was glowing in her pretty-in-pink Emilia Wickstead Spring 2017 gown. A caped look always catches my attention, and the polka-dot motif brought a playful sense of levity to this covered-up silhouette.